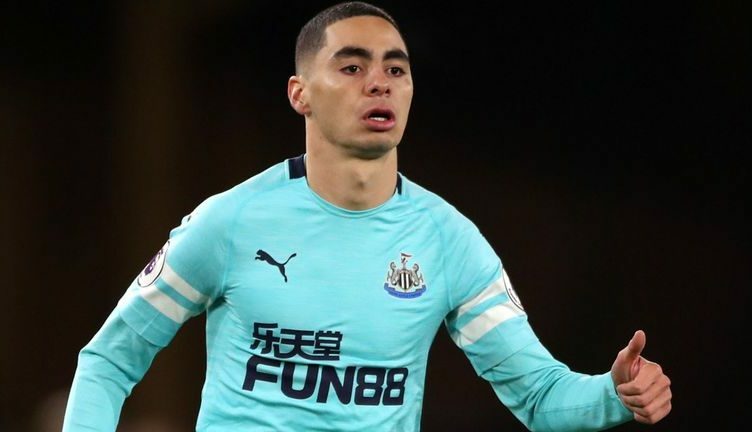 Almiron’s agent confirms ‘interest’ from Premier League giants – & reveals what he’s really like off the pitch – NUFC blog – Newcastle United blog – NUFC Fixtures, News and Forum. Miguel Almiron’s agent Daniel Campos has claimed that Manchester United were interested in signing him before he completed a deadline day move to St James’ Park. He doesn’t go into detail and reveal exactly when interested from the Red Devils arrived, but this in itself just show what a highly-rated talent we have on our hands in Almiron. “He does not like to go out. He is a boy who likes to be at home. There was talk that the likes of West Ham and Spurs held interest in Almiron, with Napoli and Inter Milan also linked last month, but it’s quite something to hear that Man Utd were tracking him. Let’s hope he can show us why there were several top clubs tracking him soon enough – starting against Huddersfield on Saturday!